Ideal for handling equipment and abrasive materials coated with oil, grease, acids, and solvents. More durable hand protection than ever before! Dextatron™ Premium Quality gloves conform to your hand and provide protection, comfort, and dexterity. More durable hand protection than ever before! Dextatron™ Premium Quality gloves conform to your hand and provide protection, comfort, and dexterity. More durable hand protection than ever before! Dextatron™ Premium Quality gloves conform to your hand and provide protection, comfort, and dexterity. BioTech Heavy duty denim apron with vinyl backing for better safety and duration. The vinyl back is water repellent. Bio-Tech Heavy duty denim apron deluxe with vinyl backing for better safety and duration. The vinyl back is water repellent. 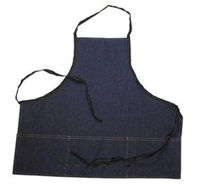 Bio-Tech Heavy duty denim apron deluxe long with vinyl backing for better safety and duration. The vinyl back is water repellent. More durable hand protection than ever before! Dextatron™ Premium Quality gloves conform to your hand and provide protection, comfort, and dexterity. More durable hand protection than ever before! Dextatron™ Premium Quality gloves conform to your hand and provide protection, comfort, and dexterity. More durable hand protection than ever before! Dextatron™ Premium Quality gloves conform to your hand and provide protection, comfort, and dexterity. More durable hand protection than ever before! Dextatron™ Premium Quality gloves conform to your hand and provide protection, comfort, and dexterity.